Epson is a Japanese brand which has produced all sorts of electronics for over fifty years. They have earned their reputation as a reliable brand that provides efficient and cutting-edge technologies for all levels of consumerism. While Epson is most famous for its line of printers in the United States, they are much more than just a printer company. It’s a little-known secret that they also make some of the best projection systems out there. 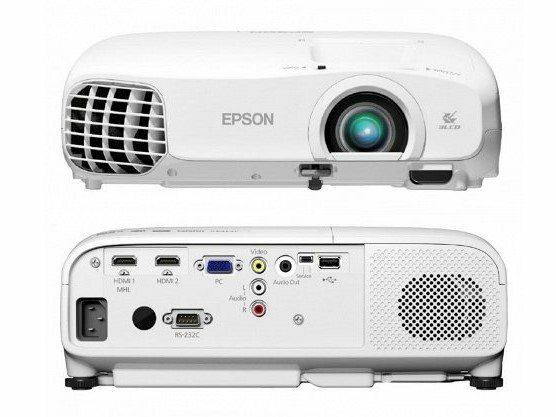 One of the most basic projectors Epson has to offer is the EX3220, and it’s just the right price for anyone in the market for a projector to get a taste of the quality they bring to the table without spending an arm and a leg. It’s a perfect example of how Epson retains its excellent standards even at the lower-end level. Let’s take a look at why the EX3220 is such a great piece of equipment. You might ask – what makes the Epson EX3220 so special? There are several key features we’re going to outline to give you an idea of why this particular model might be the perfect fit for you. Overall, the EX3220 does what a lot of projectors amazingly fail to achieve – it nails the basics. A lot of projectors out there are packed down with all sorts of features yet fall flat when it comes to projecting bright, high-quality images. If you’re in the market for a projector that pays close to attention the fundamentals of projection and is capable of producing astounding visuals, you’ll be pleased with what the EX3220 has to offer. One of the main reasons the Epson EX3220 stands out among the competition is its incorporation of 3LCD technology. 3LCD is a type of projector technology invented in the 1980’s which uses three LCD panel chips to produce brighter and more vivid colors. Mainly, the three standard video colors red, green, and blue (RGB) are separated inside the projector and then combined with a prism to form one complete image. This technology has several advantages which make 3LCD projectors more desirable than DLP projectors. The greatest advantage is its ability to emit spectacular colors. According to Epson, their projectors have colors which are three times brighter than the competition, and those who have observed this type of projection describe the images as being “true-to-life” and more realistic than DLP projectors. This viewing enhances the experience, as the images produced look more natural and high-quality. Especially when watching movies with the EX3220, one can feel truly immersed in the story being told on-screen. In addition to the brilliant colors, 3LCD projectors are usually cheaper than 3DLP projectors which use a similar technology; you get nearly the same results as 3DLP at a more affordable price. The only downside to this is that 3LCD projectors are usually a little bigger than DLP projectors, thus if size is an issue for you, this is something that might weigh into your decision. By far, the Epson EX3220’s 3LCD technology is the best feature of this projector. The ability to reproduce images which are faithful to the original is a projector’s most fundamental purpose, and this is where this one shines. 3LCD is what Epson projectors are renowned for; therefore, when you purchase an EX3220, you’re getting the technology from the brand that started it all. The unit has all of the standard inputs one would need to connect to most devices used these days; these include HDMI, A/V, SVGA, and more, concerning inputs. One thing we did notice is that there’s no support for RGB component cables; therefore, you’ll need an adapter if you plan on using this type of wire. This concern isn’t a make or break deal, though, as this is the case with even the most high-end projectors. You’ll often find that even with their abundance of inputs, there still may be one or two excluded to keep the projector at a reasonable size. While this may be an inconvenience for some, the use of adapters can fix this minor issue. Therefore, it’s a good idea to consider what inputs you will need before purchasing your projector and buy adapters if you feel you will need them. One feature of the EX3220 that a lot of other lower-end projectors do not have is SVGA support. SVGA is capable of transmitting a greater image resolution as compared to standard VGA. More specifically, SGVA is capable of an 800×600 pixel resolution while VGA is capable of 640×480. This advantage is great for those who plan on connecting their computer to the EX3220 for giving presentations, as with SVGA’s higher resolution, Powerpoint slides turn out looking sharper and easier to read. Low-end projectors which lack in light are frustrating to deal. You have to position them very close to projector screens, or else the images they project tend to appear extremely washed out. With the Epson EX3220, brightness isn’t a problem at all; it puts out 6000 lumens, making it ideal for a range of applications. Particularly with the inclusion of the 3LCD technology and marketed as producing colors that are three times brighter than other projectors, what you get here is a projector that is super bright in all aspects. Images pop due to the orginal brightnesses of both the whites and colors, as there are 3,000-lumens of white brightness and 3,000 lumens of color brightness. Large venues usually require a projector capable of producing between 5,000 and 8,500 lumens, and the EX3220 works exceptionally well in these cases with its 6,000 lumen output. To sum everything up, you simply can’t go wrong with the EX3220. *Epson is one of the best projector brands out there and known as innovators and pioneers in the field. As compared to gimmicky projectors that are loaded down with features and lacking in their basic ability to project stellar images, the EX3220 delivers on performance and quality. This is also a great choice for all you gamers out there. Especially with its incorporation of 3LCD technology, you will be blown away by the beauty of the images projected. In reality, taking a chance on this one isn’t much of a chance at all, because you’re guaranteed to appreciate what the EX3220 has to offer.